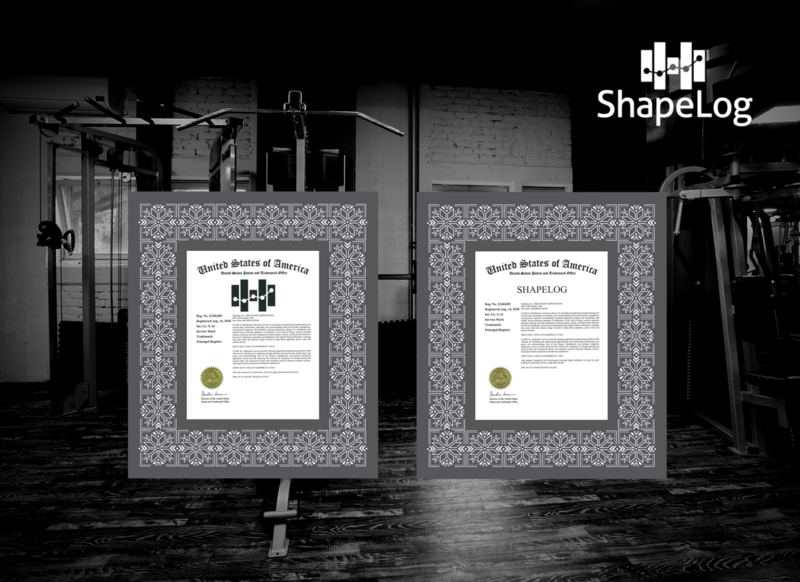 ShapeLog’s name and mark are now registered trademarks with the United States Patent & Trademark Office. We’d like to thank Joseph Morrison‘s team at Bodman, who initiated the project and saw it through with support from Automation Alley. The trademarks are the latest addition to ShapeLog’s growing IP portfolio. It’s another indication of the unique story and role we’re carving out in fitness technology. Credit for the ShapeLog name goes to Co-Founder, Nolan Orfield. Casey’s Head designed our original logo, which represents a user’s progress fueled by our connected strength training platform. Hold down the “Alt” key and type 0174 using the number pad on the right of the keyboard if using a Windows-based computer. Hold down the “Option” key in the lower row of the keyboard and press “R” if using a Macintosh computer.